Just after midnight on Wednesday at the North Carolina General Assembly, Senators posted their proposed budget online which did not give the public much time to review it before an Appropriations meeting scheduled for 9:00 AM to vote on the budget. Senators spent the morning going through the budget, passed it through three committees and sent it to the floor. On Thursday, Senators spent a few hours debating the budget, took a vote on the second reading and scheduled to come back for a third and final vote just after midnight on Friday. House members will vote not to concur with the Senate budget and a committee of House and Senate members will be appointed to work on a compromise. While the spending target was the same as the House, policies in the budget and where money is spent is drastically different. Details are below regarding the content of the Senate budget. Additionally, last week, House members created a new caucus to focus on Intellectual and Developmental Disabilities. The caucus will be co-chaired by Representatives Farmer-Butterfield and Avila. The caucus will focus on state wide issues and services provided to this population as well as any Federal changes that might have an impact on the state. More details will come as this caucus begins work at a later date. Merit raises for state employees averaging 1% and performance-based bonuses averaging an additional 1%. The House had across the board 2% pay raises. No cost-of-living increases for retirees. The House included a 1.6% increase. Appropriates only $300,000 to increases funding for Project CARE (Caregiver Alternative to Running on Empty) to support families acting as caregivers for family members with Alzheimer’s disease. The House proposal was to increase funding by $550,000. Appropriates $1 million to expand support for Alzheimer’s patients and their families through additional slots for the Community Alternatives Program for Disabled Adults (CAP-DA). The House proposal was to increase funding by $1.5 million. Appropriates $10 million to a Mental Health Reserve Fund to carry out initiatives proposed by the Governor’s Task Force on Mental Health and Substance Use Disorders. The House appropriated $30 million. Restores up to $60 million in single stream funding to LME/MCOs. The House proposed restoring up to $90 million in funds. Slashes tuition at Western Carolina University and UNC Pembroke to $500 per semester for in-state students. Historically Black Colleges were removed from this plan after feedback from students. $8.4 million to provide resources for the Child Welfare Federal Program Improvement Plan. This is the same as the House’s recommendation. The Senate budget includes language from HB 1087 Medicaid Eligibility Timeliness, which requires counties to process Medicaid applications within 45 calendar days of receipt. Closure of the Wright School which services children with special needs effective June 30, 2016. This is not in the House budget. Strategic Plan for Improvement of Behavioral Health Services: Directs DHHS to submit a plan on state funded behavioral health services and the role of LME/MCOs by November 2017. This is not in the House budget. 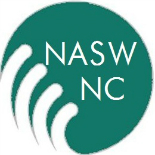 This entry was posted on June 6, 2016 by naswnc in Advocacy, Blog Posts by Topic and tagged 2016 Short Session, nc social work, NC Social Work Advocacy, NCGA, NCPOL, Senate Budget, Short Session, Wright School.